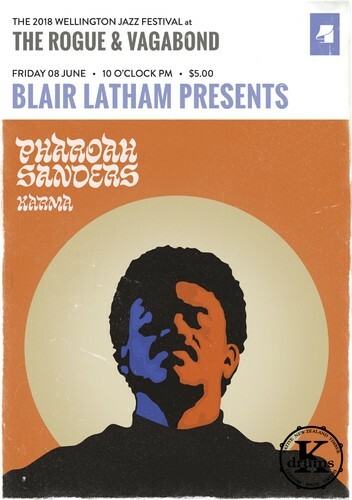 Saxophonist Blair Latham and band present Pharaoh Sanders's spiritual classic. Local saxophone legend Blair Latham presents Pharaoh Sanders’s 1969 spiritual classic Karma with full live band, as Rogue & Vagabond hosts four nights of classic jazz albums played live by top local musicians. Special thanks to K Drums for supporting the Rogue and Vagabond's 2018 Jazz Fest.